Posted by SuspiciousMatt on April 14, 2019 at 3:40pm in Is This Autograph Real? As you can see.. I tried to magnify the picture but maybe it's worse. Very hard to tell from the image. 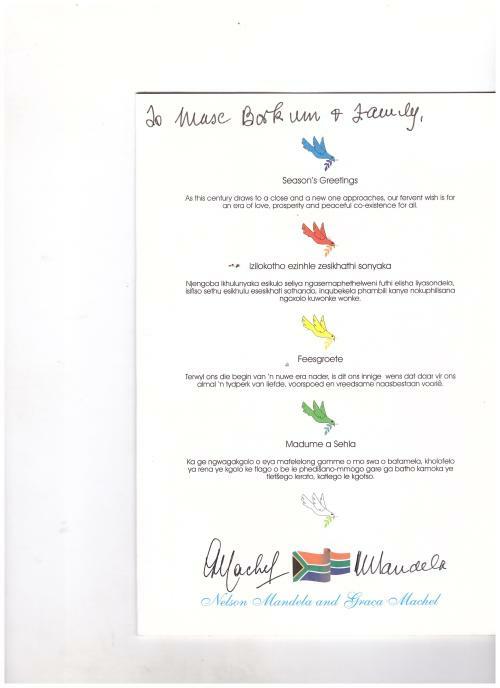 I would imagine that is a printed signature as many of those cards would have been sent out. Thank you, your answer is not so bad..
That means that if is not printed.. it looks real? Interesting.. I think he Richard is saying the image is poor and that this sort of generic card is often preprinted etc. You should search for other cards to see the same signature, or not. I just realized you have the perfect name for this :) be suspicious! Always good when collecting. Ok.. I found who is the addressee. Mr. Max Borkum, founder of the Progressive Party and known as the best trader in Johannesburg Stock Exchange who died at 90 in 2007. It make sense.. I like it... Considering that the seller has a "satisfied or refunded" policy I decided to see the object. I will update you. Thank you to all, my firends!